You are invited to a family picnic! 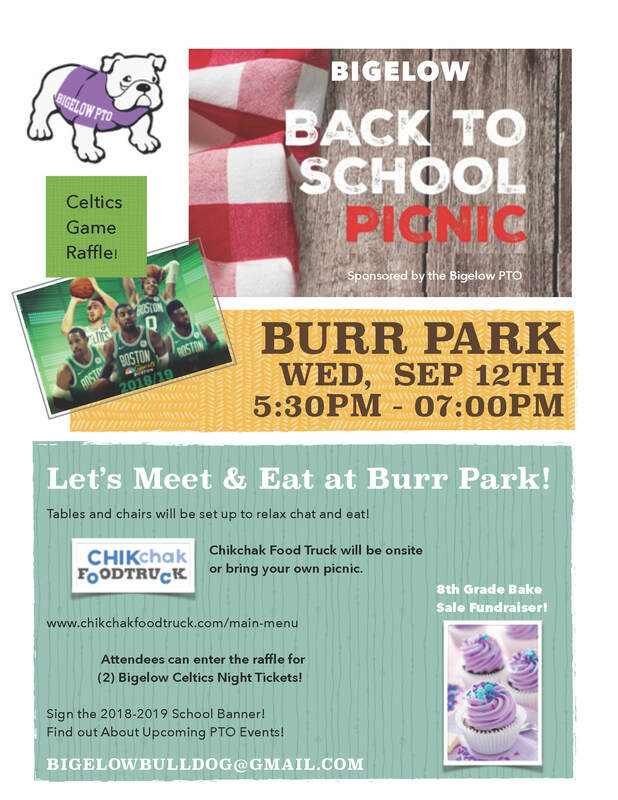 Let’s Meet & Eat at Burr Park! Tables and chairs will be set up to relax chat and eat! 8th Grade Bake Sale Fundraiser! Attendees can enter the raffle for (2) Bigelow Celtics Night Tickets!